The baby ducks have arrived! Yesterday morning, I picked up a box of ducklings from the post office. Yes, you can indeed get ducks by mail, which is super useful when you don’t live near a hatchery. Many local farm supply stores, such as Rural King, do carry chicks and other poultry in the spring, but it’s often “straight run” – which means a general mix of males and females. This is especially true when you are purchasing anything but chickens. And since we wanted to raise our ducks for eggs, we needed to have females (mostly). Our ducklings came from Meyer Hatchery out of Ohio. They were born on Monday and shipped out Tuesday. They arrived at our local post office on Wednesday morning where I was able to pick them up before work. It’s a surprisingly simple process. 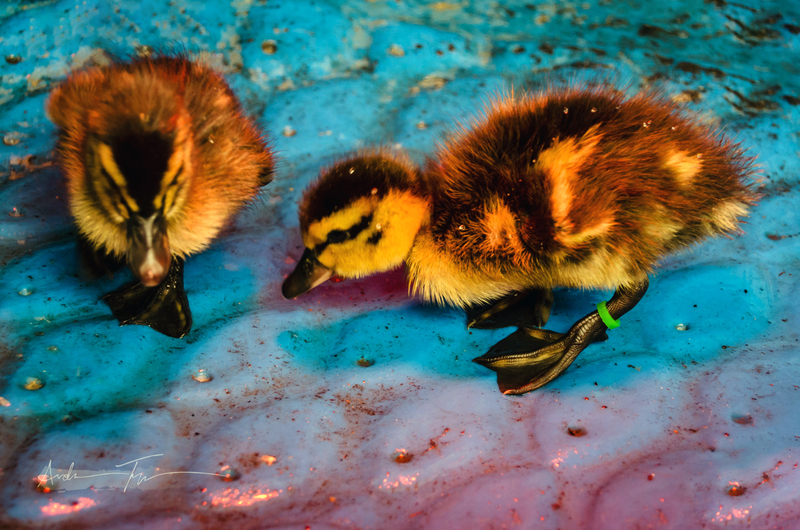 Once our ducklings arrived, I was able to quickly settle them into their new home. They just need food, water, and a warm dry place to rest. You can view the original Facebook Live video of this below. 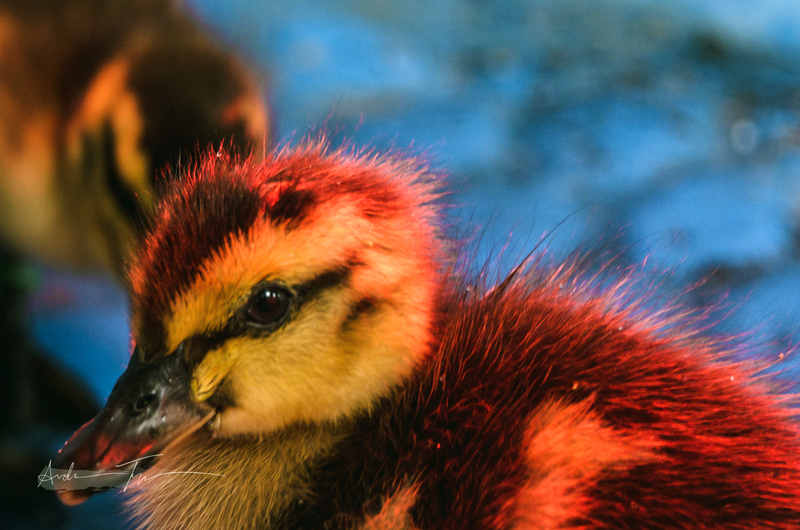 Our last batch of ducks were Gold Star Hybrids, which are specifically bred for laying – up to 290 eggs/year each. They were great ducks, but we ended up with way too many eggs, and the breed was a bit skittish, so for this batch of ducks we decided to go with a different breed called a Rouen. At most, our Rouens should lay about 180 eggs/year. Rouens look a lot like Wild Mallards, but are much fatter, which means they won’t be able to fly. 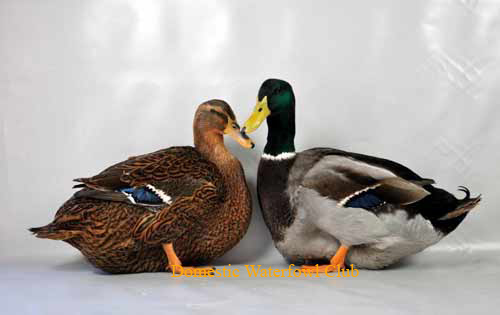 Our females will eventually weigh up to 7 lbs, and our drake (male duck) can weigh up to 9 lbs. Seriously… that’s 1/2 of what my 1 year old weighs and nearly twice her birth weight. These ducks are known to be great foragers, which means that they will help keep our bug population down this summer. They are also calm, and have a gentle disposition, which will be important now that we have a tiny human who will want to chase them around. I hope to share more with you as our new livestock grow and develop. Feel free to ask any questions you have about the ducks, taking care of ducks, cooking with duck eggs, or just life on the farm. Sharing over at Homestead Blog Hop. Rouen ducks make great eating, too! So if you have too many drakes you know what to do with them. Curried duck is now a regular part of Christmas, round our way. As they are a quiet breed and don’t fly much, they are lazy and much tenderer than some other breeds. I know. I don’t think we will be eating these, as we were able to order all females with a single drake. However I will certainly keep that in mind, tho I’ve never cooked duck before. That’s so interesting! What is the advantage of duck eggs over chicken eggs, besides the fact they’re bigger? Do you have any other livestock or pets?